John M Lewis, the Derby-based property law firm, has moved to larger offices in Vernon Gate to pave the way for future expansion. The firm, headed by Managing Director Lisa Wills and Director Liz Knott, celebrates its 30th anniversary next year and has already taken on three new members of staff in the conveyancing team to coincide with the move. 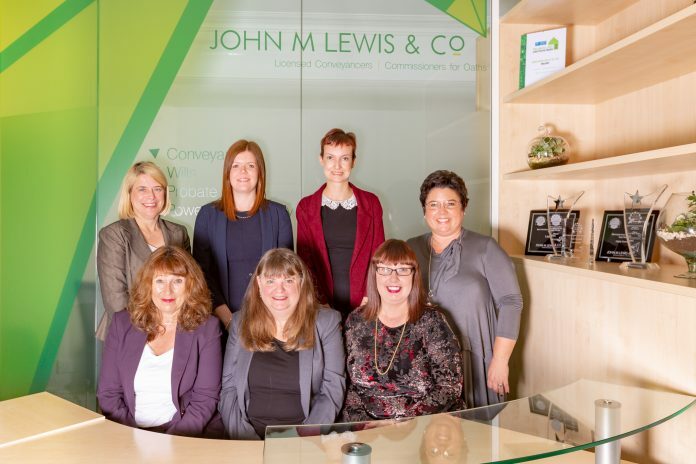 Lisa Wills, who has headed up the firm since 2003 when the founder John Lewis retired, said: “We started with four people in a small office in St Peter’s Street and have grown steadily over the years at that location. “We had reached full capacity in the city centre office and these new premises now give us the scope to further expand the team beyond our current size of 27 staff in line with business growth in all aspects of the business – property law, conveyancing, will writing and probate. “This move is therefore crucial to the future of the firm and is far more accessible for our clients with private and extensive on-street parking nearby.